Clean cut contemporary style A973 living room set comes in black leather and offers comfortable seats. It stands on steel chrome finish no-mar padded legs and has open arms and adjustable headrests on a sofa and loveseat. 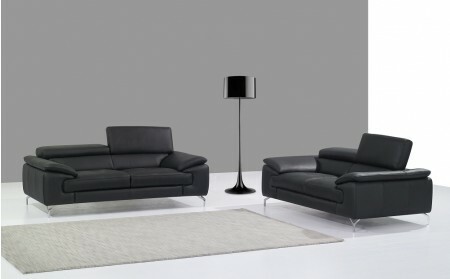 Black Italian leather is used for upholstery all around the living room set.